A.P. Nichols and M. Cetin “Evaluation of Differential Calibration Accuracy between WIM Stations Using Reidentified Vehicles,” Transportation Research Record, 2527, pp. 37-48, 2015. F. Habtemichael, M. Cetin, and K.A. Anuar, “Methodology for Quantifying Incident-Induced Delays on Freeways by Grouping Similar Traffic Patterns” Accepted for publication in Transportation Research Record: Journal of the Transportation Research Board, 2015. A.J. 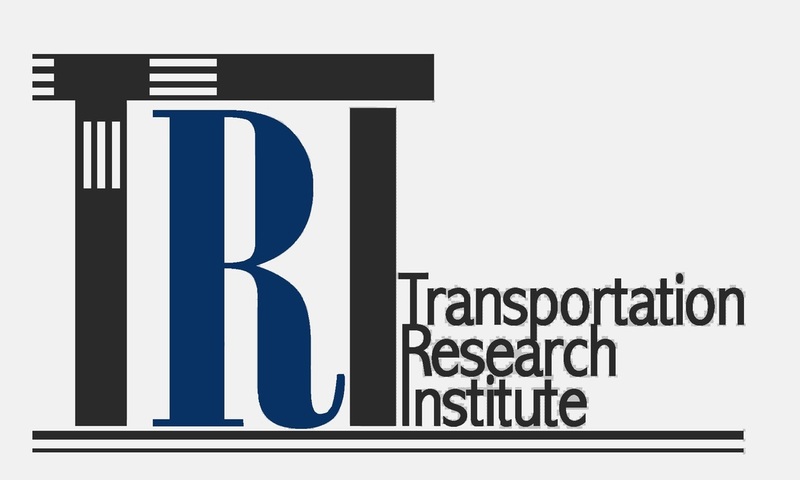 Collins, E. Frydenlund, R. M. Robinson, M. Cetin, “Exploring a Toll Auction Mechanic Enabled By Vehicle-To-Infrastructure Technology” Accepted for publication in Transportation Research Record, 2015. F. Habtemichael, and M. Cetin, “Short-Term Traffic Flow Rate Forecasting Based on Identifying Similar Traffic Patterns” Accepted for publication in Transportation Research Part C, 2016. S. Son, M. Cetin, and A.J. Khattak “Exploring Traffic Data Aggregation Bias Due to the Transition of Traffic States in the Aggregation Interval” Transportation Research Record: Journal of the Transportation Research Board 2443 v 2, pp. 78-87, 2014. Transportation Research Record: Journal of the Transportation Research Board 2443 v 2, pp. 96-105, 2014. ​H. Zhang, M. Cetin, and A.J. Khattak “Joint Analysis of Queuing Delays Associated with Secondary Incidents” Journal of Intelligent Transportation Systems: Technology, Planning, and Operations. Paleti, R., P. Vovsha, D. Givon, and Y. Birotker, (2014) “Joint Modeling of Trip Mode and Departure Time Choices using Revealed and Stated Preference Data” Forthcoming, Transportation Research Record. Paleti, R., C.R. Bhat, R.M. Pendyala, K.G. Goulias, T.J. Adler, and A. Bahreinian, (2014) "On Assessing the Impact of Transportation Policies on Fuel Consumption and Greenhouse Gas Emissions Using a Household Vehicle Fleet Simulator," Forthcoming, Transportation Research Record. Ng, M.W. (2014). Distribution-free Vessel Deployment for Liner Shipping, European Journal of Operational Research 238 (3), 858-862. Talley, W.K., Ng. M.W., Marsillac, E. (2014), Port Service Chains and Port Performance Evaluation, Transportation Research Part E 69, 236-247. Ng, M.W., Behr, J., Diaz, R. (2014). Unraveling the Evacuation Behavior of the Medically Fragile Population: Findings from Hurricane Irene, Transportation Research Part A 64, 122-134. Ng, M.W., Sathasivan, K. (2014). Probabilistic Modeling of Erroneous Human Response to In-Vehicle Route Guidance Systems: A First Look, Journal of Intelligent Transportation Systems 18(2), 131-137. Ng, M.W., Khattak, A.J., Talley, W.K. (2013). Modeling the Time to the Next Primary and Secondary Incident: A Semi-Markov Stochastic Process Approach, Transportation Research Part B 58, 44-57. F. G. Habtemichael and L. d. P. Santos, "Crash risk evaluation of aggressive driving on motorways: Microscopic traffic simulation approach," Transportation Research Part F-Traffic Psychology and Behaviour,vol. 23, pp. 101-112, Mar 2014. H. Zhang, M. Cetin, and A.J. Khattak “Joint Analysis of Queuing Delays Associated with Secondary Incidents” Journal of Intelligent Transportation Systems: Technology, Planning, and Operations, Vol. 19, Issue 2, pp. 192-204, 2015. C.A. Jordan, M. Cetin, and R.M. Robinson, “Clearing Paths for Emergency Vehicles Using Vehicle-to-Vehicle Communication” Transportation Research Record. 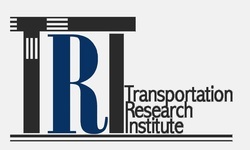 Transportation Research Record: Journal of the Transportation Research Board, 2381, pp. 45–53, 2013. M. Cetin “Estimating Queue Dynamics at Signalized Intersections from Probe Vehicle Data: A Methodology Based on Kinematic Wave Model” Transportation Research Record: Journal of the Transportation Research Board 2243, pp. 164–172, 2012. Bhat, C.R., R. Paleti, and M. Castro, (2013) "A New Econometric Approach to Multivariate Count Data Modeling". Forthcoming, Journal of Applied Econometrics. Abay, K.A., R. Paleti, and C.R. Bhat, (2013) "The Joint Analysis of Injury Severity of Drivers in Two-Vehicle Crashes Accommodating Seat Belt Use Endogeneity". Transportation Research Part B, 50, 74-89. Archer, M., R. Paleti, K.C. Konduri, R.M. Pendyala, and C.R. Bhat, (2013) "Modeling the Connection between Activity-Travel Patterns and Subjective Well-Being". Transportation Research Record, 2382, 102-111. Bhat, C.R., K.G. Goulias, R.M. Pendyala, R. Paleti, R. Sidharthan, L. Schmitt, and H. Hu, (2013) "A Household-Level Activity Pattern Generation Model for the Simulator of Activities, Greenhouse Emissions, Networks, and Travel (SimAGENT) System in Southern California"., Transportation, 40(5), 1063-1086. Bhat, C.R., Paleti, R., R.M. Pendyala, K. Lorenzini, and K.C. Konduri, (2013) "Accommodating Immigration Status and Self Selection Effects in a Joint Model of Household Auto Ownership and Residential Location Choice". Transportation Research Record, 2382, 142-150. Castro, M., R. Paleti, and C.R. Bhat, (2013) "A Spatial Generalized Ordered Response Model to Examine Highway Crash Injury Severity". Accident Analysis and Prevention, 52, 188-203. Narayanamoorthy, S., R. Paleti, and C.R. Bhat, (2013) "On Accommodating Spatial Dependence in Bicycle and Pedestrian Injury Counts by Severity Level". Transportation Research Part B, 55, 245-264. Paleti, R., and C.R. Bhat (2013), "The Composite Marginal Likelihood (CML) Estimation of Panel Ordered-Response Models," Journal of Choice Modelling, 7, 24-43. Paleti, R., C.R. Bhat, and R.M. Pendyala, (2013) "An Integrated Model of Residential Location, Work Location, Vehicle Ownership, and Commute Tour Characteristics". Transportation Research Record, 2382, 162-172. Paleti, R., C.R. Bhat, R.M. Pendyala, and K.G. Goulias, (2013) "The Modeling of Household Vehicle Type Choice Accommodating Spatial Dependence Effects". Transportation Research Record, 2343, 86-94. Singh, P., R. Paleti, S. Jenkins, and C.R. Bhat, (2013) "On Modeling Telecommuting Behavior: Option, Choice, and Frequency", Transportation, 40(2), 373-396. Ng, M.W., Lo, H.K. (2013). Regional Air Quality Conformity in Transportation Networks with Stochastic Dependencies: A Theoretical Copula-Based Model, Networks and Spatial Economics 13, 373-397. Ahmed, U., Drakopoulos, A., Ng, M.W. (2013). Impact of Heavy Vehicles on Freeway Operating Characteristics under Congested Conditions. Transportation Research Record 2396, 28-37. This paper won the Best Freeway Operations Paper Award, 92nd Annual Meeting of the Transportation Research Board, National Research Council of the National Academies. Talley, W.K., Ng, M.W. (2013). Maritime Transport Chain Choice by Carriers, Ports and Shippers, International Journal of Production Economics 142(2), 311-316. Ng, M.W. (2013). Partial Link Flow Observability in the Presence of Initial Sensors: Solution without Path Enumeration, Transportation Research Part E 51, 62-66. F. G. Habtemichael, L. d. P. Santos, and N.-E. El Faouzi, "Parameters of Time Headway Distribution as Performance Indicators of Motorway Traffic and Driver Behavior Comparison of Good and Adverse Weather Conditions," Transportation Research Record, pp. 152-160, 2012. F. G. Habtemichael and L. de Picado-Santos, "The impact of high-risk drivers and benefits of limiting their driving degree of freedom," Accident Analysis and Prevention, vol. 60, pp. 305-315, Nov 13 2013. F. G. Habtemichael and L. d. P. Santos, "Safety and Operational Benefits of Variable Speed Limits Under Different Traffic Conditions and Driver Compliance Levels," Transportation Research Record, pp. 7-15, 2013. Bricka, S.G., S. Sen, R. Paleti, and C.R. Bhat, (2012) "An Analysis of the Factors Influencing Differences in Survey-Reported and GPS-Recorded Trips",Transportation Research Part C, 21 (1), 67-88. Castro, M., R. Paleti, and C.R. Bhat, (2012) "A Latent Variable Representation of Count Data Models to Accommodate Spatial and Temporal Dependence: Application to Predicting Crash Frequency at Intersections", Transportation Research Part B, 46 (1), 253-272. Khan, M., R. Paleti, C.R. Bhat, and R.M. Pendyala, (2012) "A Joint Household Level Analysis of Work Arrangement Choices of Individuals", Transportation Research Record, 2323, 56-66. Kortum, K., R. Paleti, C.R. Bhat, and R.M. Pendyala, (2012) "A Joint Model of Residential Relocation Choice and Underlying Causal Factors",Transportation Research Record, 2303, 28-37. Pendyala, R.M., C.R. Bhat, K.G. Goulias, R. Paleti, K.C. Konduri, R. Sidharthan, H. Hu, G. Huang, and K.P. Christian, (2012) "The Application of a Socio-Economic Model System for Activity-Based Modeling: Experience from Southern California", Transportation Research Record, 2303, 71-80. Vyas, G., R. Paleti, C.R. Bhat, K.G. Goulias, R.M. Pendyala, H. Hu, T.J. Adler, and A. Bahreinian, (2012) "A Joint Vehicle Holdings (Type and Vintage) and Primary Driver Assignment Model with an Application for California", Transportation Research Record, 2302, 74-83. Whalen, K., A. Páez, C.R. Bhat, M. Moniruzzaman, and R. Paleti, (2012) "T-Communities and Sense of Community in a University Town: Evidence from a Student Sample using a Spatial Ordered-Response Model", Urban Studies, 49 (6), 1357-1376. F. G. Habtemichael and L. d. P. Santos, "The Need for Transition from Macroscopic to Microscopic Traffic Management Schemes to Improve Safety and Mobility," Transport Research Arena 2012, vol. 48, pp. 3018-3029, 2012. M. Cetin, C. M. Monsere, and A.P. Nichols, “Bayesian Models for Re-identification of Trucks over Long Distances on the Basis of Axle Measurement Data,” Journal of Intelligent Transportation Systems: Technology, Planning, and Operations, Volume 15, Issue 1, pp. 1 – 12, 2011. Paleti, R., R.B. Copperman, and C.R. Bhat, (2011) "An Empirical Analysis of Children’s After School Out-of-Home Activity-Location Engagement Patterns and Time Allocation," Transportation, 38(2), 273-304. Paleti, R., N. Eluru, C.R. Bhat, R.M. Pendyala, T.J. Adler, and K.G. Goulias, (2011) "The Design of a Comprehensive Microsimulator of Household Vehicle Fleet Composition, Utilization, and Evolution" Transportation Research Record, 2254, 44-57. Eluru, N., R. Paleti, R.M. Pendyala, and C.R. Bhat, (2010) “Modeling Multiple Vehicle Occupant Injury Severity: A Copula-Based Multivariate Approach”,Transportation Research Record, 2165, 1–11. Paleti, R., N. Eluru, and C.R. Bhat, (2010) “Examining the Influence of Aggressive Behavior and Young Drivers on Driver Injury Severity in Traffic Crashes”, Accident Analysis and Prevention, 42(6), 1839-1854. Ng, M.W., Szeto, W.Y., Waller, S.T. (2011). Distribution-free Travel Time Reliability Assessment with Probability Inequalities, Transportation Research Part B 45(6), 852-866. Ng, M.W., Zhang, Z., Waller, S.T. (2011). The Price of Uncertainty in Pavement Infrastructure Management Planning: An Integer Programming Approach, Transportation Research Part C 19(6), 1326-1338. Ng, M.W., Park, J., Waller, S.T. (2010). A Hybrid Bi-level Model for the Optimal Shelter Assignment in Emergency Evacuations, Computer-Aided Civil and Infrastructure Engineering 25(8), 547-556. Ng, M.W., Waller, S.T. (2010). A Computationally Efficient Methodology to Characterize Travel Time Reliability using the Fast Fourier Transform, Transportation Research Part B 44 (10), 1202-1219. Ng, M.W., Kockelman, K., Waller, S.T. (2010). Relaxing the Multivariate Normality Assumption in the Simulation of Transportation System Dependencies: An Old Technique in a New Domain, Transportation Letters 2(2), 63-74. Ng, M.W., Waller, S.T. (2010). Reliable Evacuation Planning via Demand Inflation and Supply Deflation, Transportation Research Part E 46(6), 1086-1094. Ng, M.W., Waller, S.T. (2010). A Static Network Level Model for the Information Propagation in Vehicular Ad Hoc Networks, Transportation Research Part C 18(3), 393-407. M. Cetin and A.P. Nichols, “Improving the Accuracy of Vehicle Reidentification Algorithms by Solving the Assignment Problem,” Transportation Research Record 2129, pp. 1-8, 2009. Ng, M.W., Waller, S.T. (2009). The Evacuation Optimal Network Design Problem: Model Formulation and Comparisons, Transportation Letters 1(2), 111-119. Ng, M.W., Lin, D.-Y, Waller, S.T. (2009). Optimal Long-Term Infrastructure Maintenance Planning Accounting for Traffic Dynamics, Computer-Aided Civil and Infrastructure Engineering 24(7), 459-469. Ng, M.W., Waller, S.T. (2009). Reliable System Optimal Network Design: A Convex Mean-Variance Type Model with Implicit Chance Constraints, Transportation Research Record 2090, 68-74.